Just like the other Southeast Asian countries, Thailand is one of the world’s lower-budget destinations, with relatively affordable prices for its luxurious accommodations and excursions when compared to those found in Europe, North and South America continents. Nonetheless, the cost of vacationing in Thailand is not that quite uniform, and so it’s only in order to consider all the aspects of your trip when planning out how much you will spend during your vacation. In Thailand, there is always a wide price range for everything. For instance, you can buy a Gucci dress at $500 in Siam Paragon or opt for a chic dress going for $10 in Siam Square. It is therefore possible to travel around the country on a very little budget due to this range in prices, if you careful enough and armed with a few tricks. Some of the best ways to get maximum value out of every Baht you spend are as enumerated below. While in Thailand it’s good to fine tune your bargaining skills to avoid getting scammed. A good example are the taxi drivers who will offer you a ride for almost ten times the actual value, though it may be seemingly cheaper than what you normally pay back at home. It is also advisable to ask around for the real prices of street food or taxi rides, for example at a local shop or restaurant, whenever in doubt. Thai people are friendly and will be more than willing to lend you a helping hand in such situations. 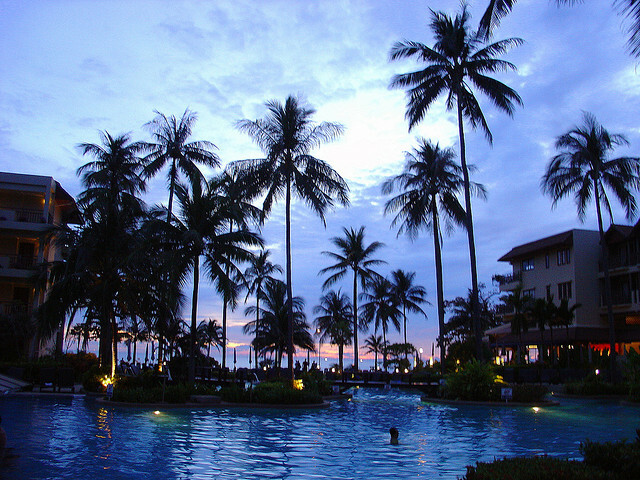 Better still, you can learn worthy tips from locals or expatriates who have resided in Thailand for some time. Avoid cutting deals with the people you will find at main bus and train stages soliciting for certain guest houses. Such guest houses often turn out not to be the best available as they may be too far from the town or beach and just too damn expensive. The best thing to do would be to check out a number of guest houses, until you spot one that you like, and is within your price range. In most places, you will be offered the more expensive rooms first hence you should always ask if they have cheaper rooms. Additionally, ensure that you first see the room to check whether it is clean and safe. There are also some establishments that will allow you to negotiate the price, more so if you’re planning on staying for a long period of time. When in Thailand the easiest way to save money on food is by not eating Western food since they can be three times as expensive as local Thai food, but still not of good quality. You should instead eat at the small, family-run restaurants or buy street food. Since food on the islands is most of the times very expensive, try to have your meals in the towns, away from the prime beaches. Also, while in Thailand, try to cut back on alcohol because it’s one of the priciest things in this country. You can probably drink lots of water, which is free at the banks and at the Buddhist temples, to fill you up. Travel during the low season as this will definitely save you money from the onset. During this time, the flights are cheaper and the locals also drop their prices due to lack of customers. You can as well travel at night as bus tickets tend to be cheaper at this time.